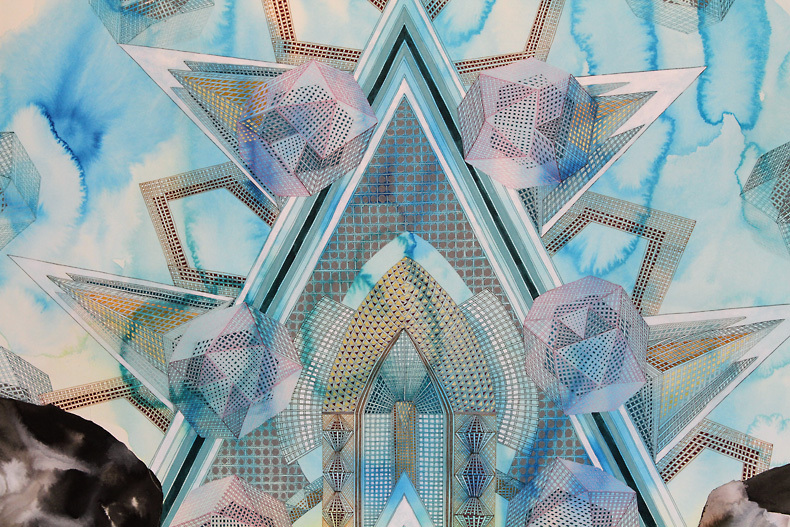 "Seeking inspiration from metaphysics and mysticism, Melissa Manfull creates hyper-detailed structures that straddle the worlds of reality and imagination. Working in a palette that ranges from the subdued and earthy to the mystical and otherworldly, Manfull inserts her stiff geometric shapes within pools of bleeding ink. Thus bringing to mind the idea of a building's lost limb, detached and floating in space. 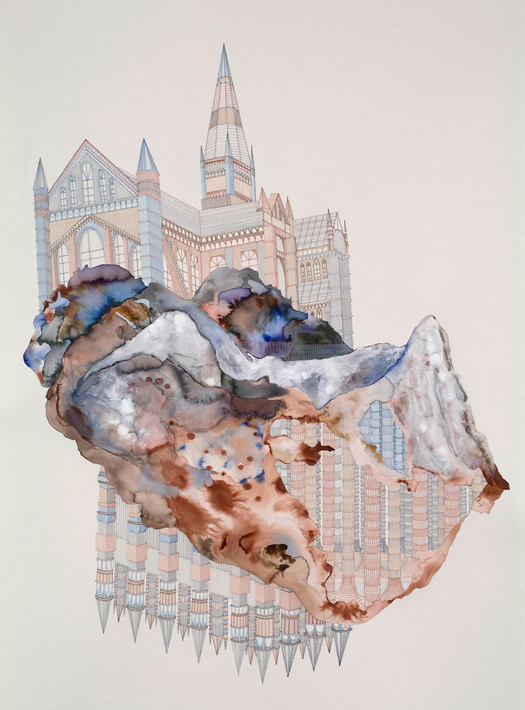 The artist's interest in utopian societies and the ways in which architecture can reflect belief systems inspired these organic yet rigid drawings. And in some ways, the resulting structures, created by fractal patterning, reflect the artist's personal understanding of the intricate workings of the universe and the mind. 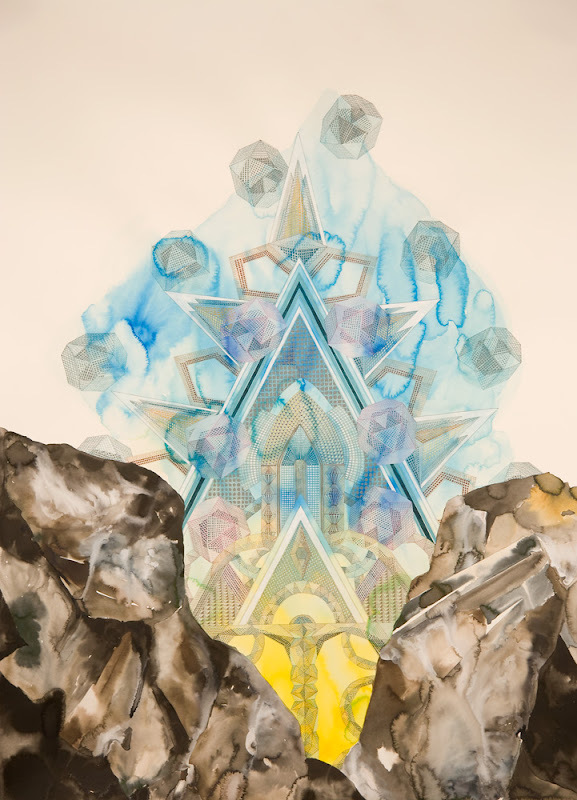 Due to the obsessive nature of her process, Manfull has often viewed the meditative act of drawing as a way to approach her fear of vast, open ended space (the unknown). 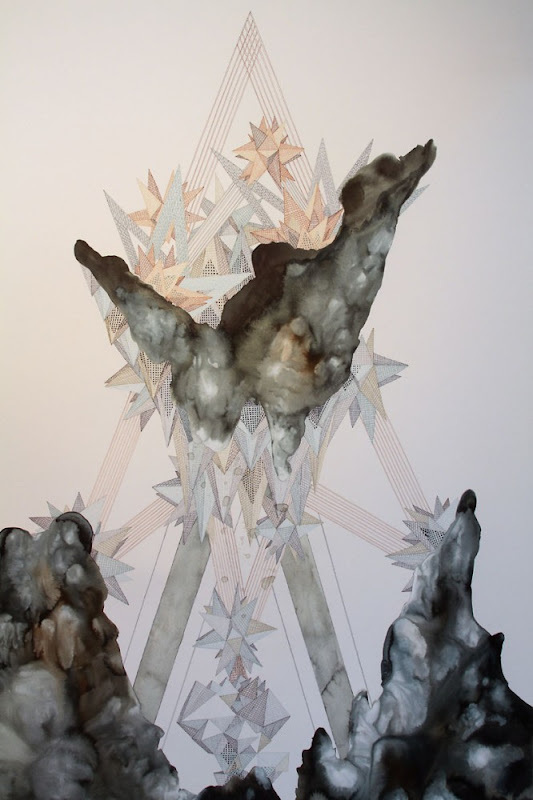 By creating her minute sculptural drawings, she gives this abyss a meaning and in essence, gains control. 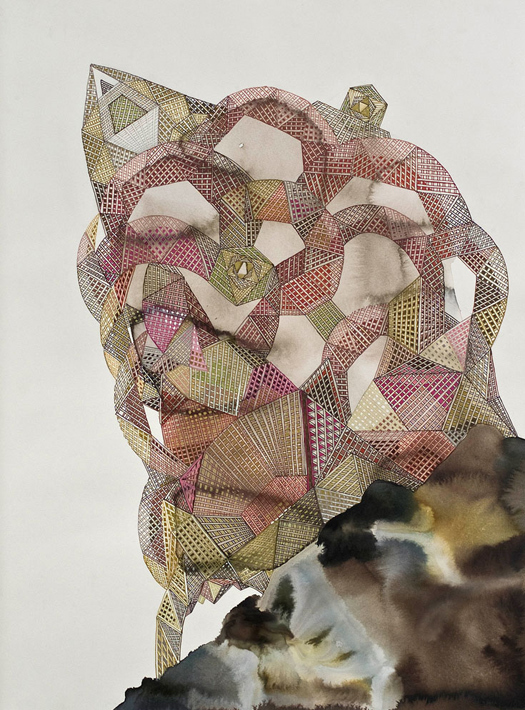 With her amorphous ink stains, she tries to mimic this emptiness rather than flight it."